Shfting of MA & PhD Hindi and Services of Dr. Rajinder Kumar, Asstt. Professor to Department of Hindi. 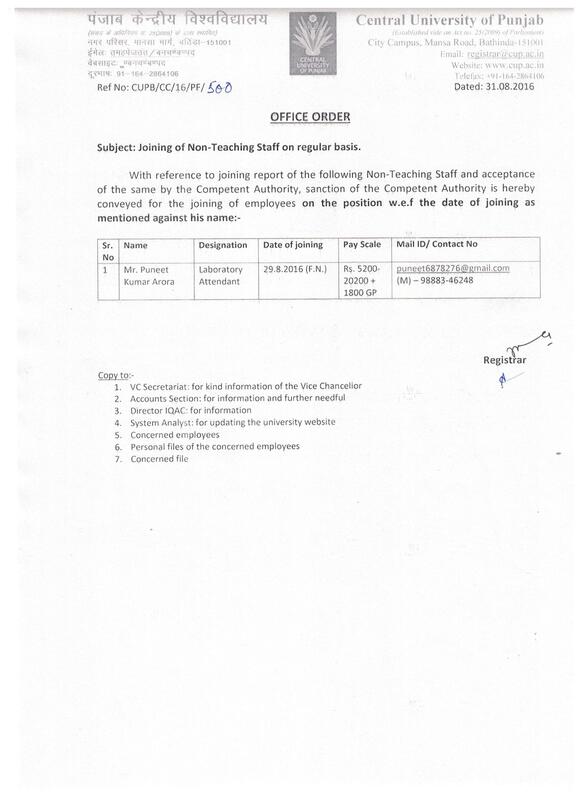 Joining of Assistant Professors on contractual basis. 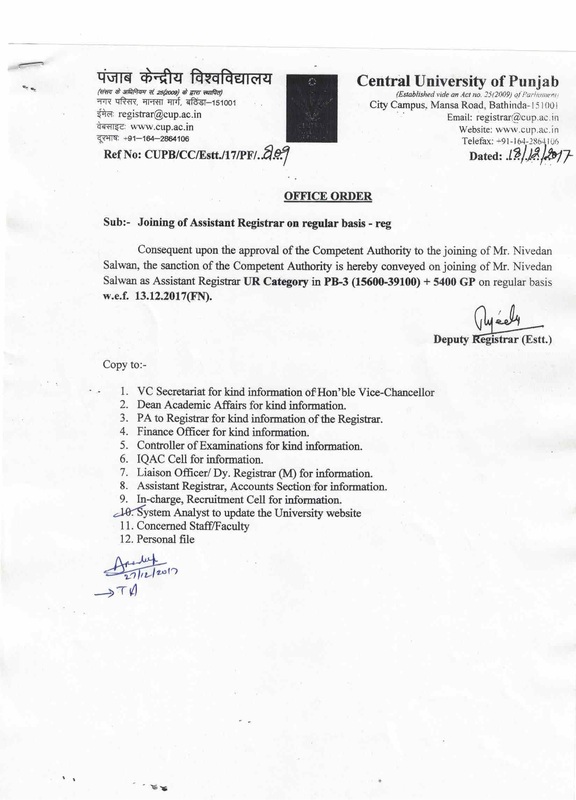 Joining of Assistant Professor on contractual basis. Declaration of Holiday on 14th April, 2016 – Birthday of Dr. B. R. Ambedkar. 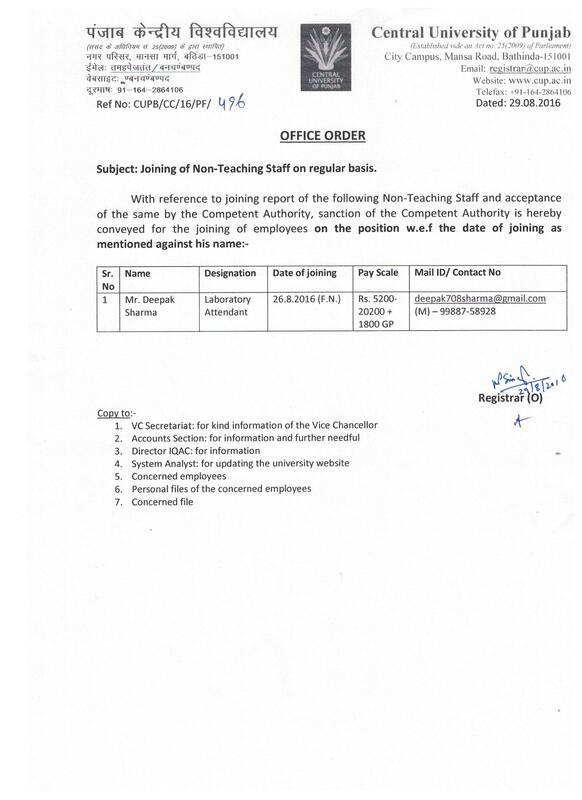 Joining of Dr. Jagdeep Singh as Registrar. Last modified: March 11 2019 06:18:14.